Isn't it exciting to find out you have a historical icon in the far-off depths of your family tree? But when you brag to your friends, what do you call this famous ancestor? "Thomas Edison is the great-uncle of my great-great-grandfather's third cousin!" Actually, if you're familiar with the system we use in designating these relationships, you can see there is a consistent formula to the kinship titles we assign to various family members. Take the Findmypast Tree Challenge this week only! 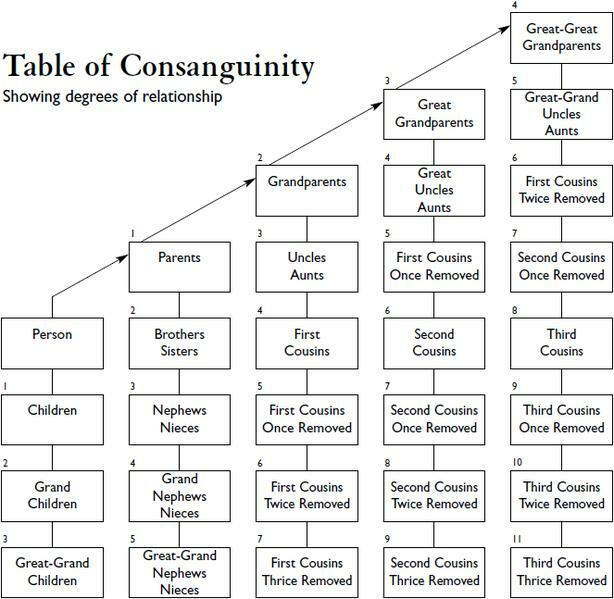 In English-speaking societies, we classify based on gender, generation, and consideration of consanguinity (direct descendants) and immediate affinal (in-law) relationships. Our common familiarity is with immediate family and direct lines, so brother, sister, cousins, aunts/uncles and the (great) grandparents. It starts to get confusing when differentiating between the "degrees" and "removals" of cousins. The ordinals in this system, "first cousin", "second cousin", "third cousin", all describe the degree of the cousin relationship or the number of generations to their closest ancestor. For example, your second cousin is a person you share great-grandparents with and is not your direct sibling. It's easier to think of what your shared ancestors would call you both - if your closest shared direct-ancestor is your great-great-grandparents, and they call you both "great-great-grandchildren," then you have no removal, you two are second cousins. When the cousins are not in your same generation then they are "removed. "First cousins once removed" declares that either one of you are one generation away from being first cousins. For example, if your first cousin has kids, they are your first cousins once removed - the closest common ancestor shared are your grandparents but are "once removed" from the level of first cousin (held by their parents). Here is the confusing part: there are two instances in your family tree that can share this title. This is a reflection of what cousins refer to each as. Up until now, each relationship in your family tree has inverse titles for each other. You are your aunt's niece or nephew; you are your great-grandparents grandchild. Cousins refer to each other as cousins. Because of this, your first cousin's kid is your first cousin once removed and you (the parent of their second cousin) are also their first cousin once removed - you each refer to each other as the same. This means that the child of your first cousin and the parents of your second cousin are both "first cousins once removed" despite each of them being generations apart. If this is still confusing, look up the various kinship terminology systems used around the world and you may have a new respect for this terminology. At least this is formulaic. The Chinese use individual terms for every relationship. Hopefully the below video makes more sense to you now.